In a film of angry birds in Costa Rica the main protagonist would be the striking Red-headed barbet (Eubucco boucieri). This small bird weighing only 15 cms provokes mixed feelings, since its brilliant scarlet head draws attention, resembling a round, angry red human face. We usually find these birds, curiously related to the toucans, in elevations higher than 900 meters above sea . Although sometimes they subside to 750 between October and February. 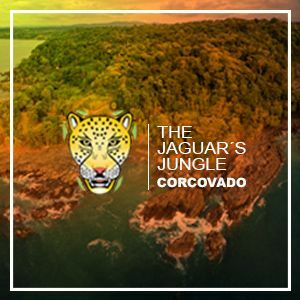 So almost every year we receive their visit in our Alexander Skutch Biological Corridor, in Costa Rica. Birds do not have facial expressions, but we can observe their needs in the movements of their eyes and bills. At the beginning of the rainy season we can see young pigeons opening their beaks to ask for food from their parents. Also the colors in the feathers inspire feelings. With their facial masks, momots (Momotus lessonii), such as the green honeycreeper (Chlorophanes spiza) and the Scarlet-thighed Dacnis(Dacnis vetusta) look like real bandits. Others with soft tones, like the Blue-gray tanager have a more affable and social aspect, always making palsy chats. They are monogamous, having the same partner all their lives. There are also birds that at first sight inspire fear by their rarity. It is the case of the nictibios or Potoos. These are nocturnal birds that feed on insects and hoot with a wailing Uuuuuuuuh- uh-uh-huu ... that resembles a sad cry. However, they are harmless birds, which try to go unnoticed with their stick camouflage plumage, to be able to rest during the day without risk of predators. Each species may appear to be, or have a temperament, that may be related to its behavior. They can inspire the human beings to reflect on emotions common to our human nature. Posted in Bird Watching & Ornithology, Birds, Environment & Wildlife, Pérez Zeledón, Tourism & Entertainment and tagged Birds, Ornithological, Perez Zeledon, wildlife. Pets in a National Park?